What do you get when you take two best friends, add bundles of talent and then finish it off with creativity, colour and fun? The answer is suppliers like our guests this week: Harriet and Jodie from Hattie & Flora, a wedding stylist company that creates bright, festive layouts for a couple’s big day. Having worked as events stylists for Jamie Oliver, The Savoy, BBC’s Children In Need and more, the team know exactly how to make a day magical and let a couple’s personality shine through. So without further ado, Harriet over to you! 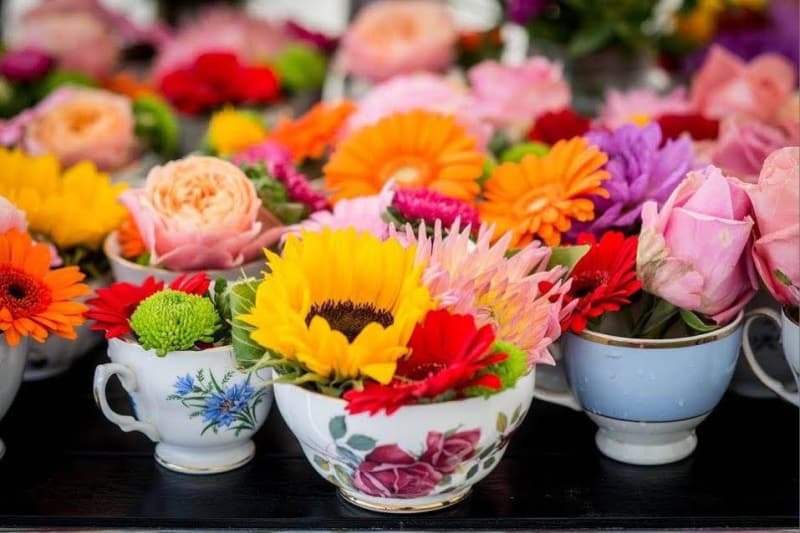 We are Harriet and Jodie – Directors of Hattie & Flora Ltd. I’m (Harriet) a trained florist and Jodie studied Theatre Design at the Arts University Bournemouth – these skills seemed to ‘marry’ (forgive the wedding pun!) perfectly to create our Event Decoration company! 2. Share the story of Hattie & Flora? 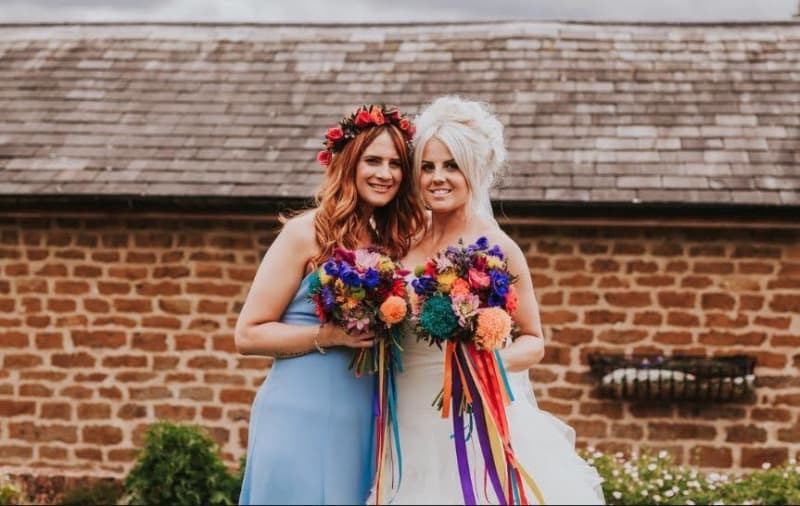 We met when we were 8 years old and almost immediately started a jewellery company called Bohemian Beads – we’ve been destined to run a colourful business together from the beginning! Bo’ Beads fizzled out as we discovered you can spend your profits on sweets and panda pops… However, it was the start of our adventures in the world of business and 16 years later, after studying for our degrees, we were thrown back together by fate! I was working on a large Indian wedding creating lots of varmala garlands; Jodie was living back at home and freelancing as an event designer so I got her on board to help me out. We had so much fun together that we agreed we would make it a regular thing! The big wedding that sealed the deal was that of a Channel 4 producer for whom Jodie was the prop stylist. She needed a florist and asked me to join the team. We were asked by so many people at that wedding for a business card, so we went home and made some that night! 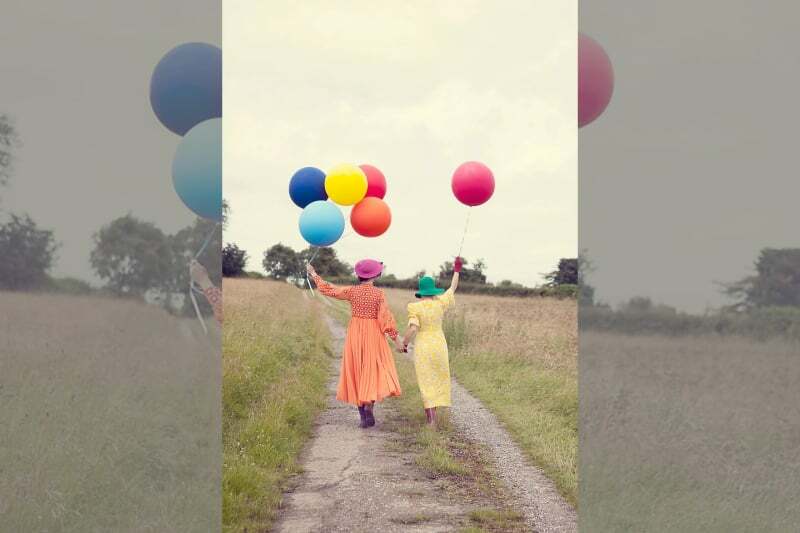 The name Hattie & Flora comes from our original businesses – I had a floristry business called Flora’s Garden, and Jodie had a hat/fascinator company called Hattie Pom Pom. After that we went on to work for Mercury Events designing the look and feel for Bluewater Wedding Fair, and also began collaborating with Jamie Oliver on his annual festival The Big Feastival. Although we now work on many types of events such as festivals and parties, we do love the personal one to one nature of working on weddings – you really get to know the bride and groom so well, it’s wonderful. 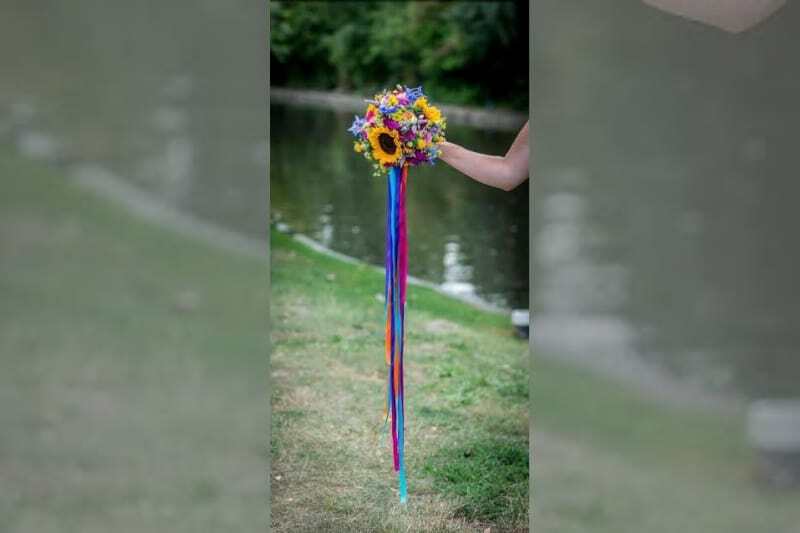 With social media platforms such as Pinterest you find that many brides and grooms are getting really hands on with their own weddings and making their own decorations. However, on the flip side, we’re also finding that this means that their ideas and visions are more ambitious so are coming to us to help with some of the more wild and wonderful creations! 5. 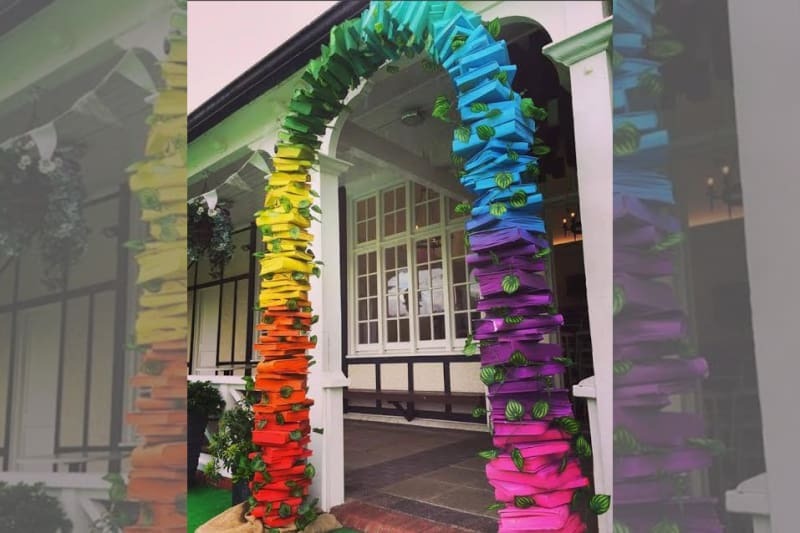 What wedding trends are you seeing in the industry? 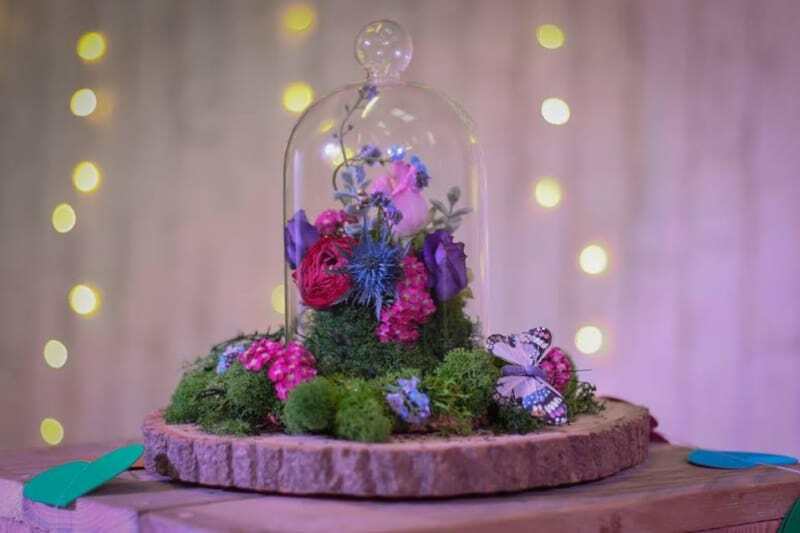 We’ve seen a rise in the popularity of botanical inspired design – from terrariums and miniature greenhouses to eucalyptus chandeliers, it’s a beautifully natural and wild look that we adore putting together. 6. What is the biggest challenge you face on the wedding day itself? 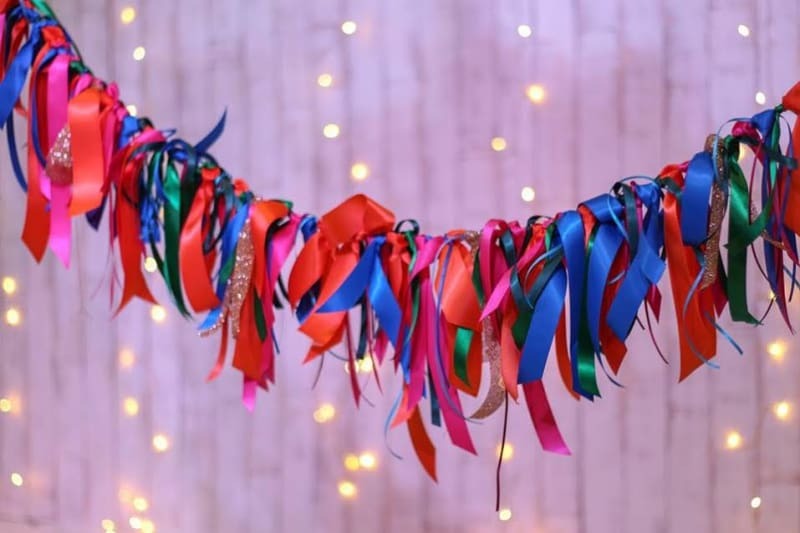 We often have a short space of time to achieve a high level of decoration – from laying out all the flowers, sometimes creating floral archways on the morning of the wedding, to hanging hundreds of ceiling decorations. We make sure to have a strict time plan in place but also make sure that we still enjoy the process! Social media platforms such as Instagram and tools such as Pinterest have really helped us to communicate with brides and grooms visually, not only for marketing purposes but during the design process too. And of course apps such as Bridebook are helping us to connect with suppliers and potential clients in a big way! We have invested in an awesome vinyl printing machine which means we can design and print bespoke vinyls for signage. Some couples prefer a hand painted look but for those wanting a slick design the vinyl option can still be really effective! Reviews and testimonials are so important in a competitive industry where word of mouth and recommendation is key. People want suppliers they can trust but how else would they know to trust a supplier they’ve never used before? We always ask for a simple review or testimonial, either via email or posted directly to social media. We always meet the couple for consultations prior to the wedding, and also site visits so we can visualise the décor together. We make sure to build up a great relationship via email and are in constant contact with our couples up to the big day. 11. What do you think makes Hattie & Flora? It’s all about confident use of colour and magic! The process has to be enjoyable for both us and the couple we are working with. We have a lot of fun designing and brainstorming with our couples and we are often told that we make the process exciting even to those couples who haven’t got a natural eye for creative details. 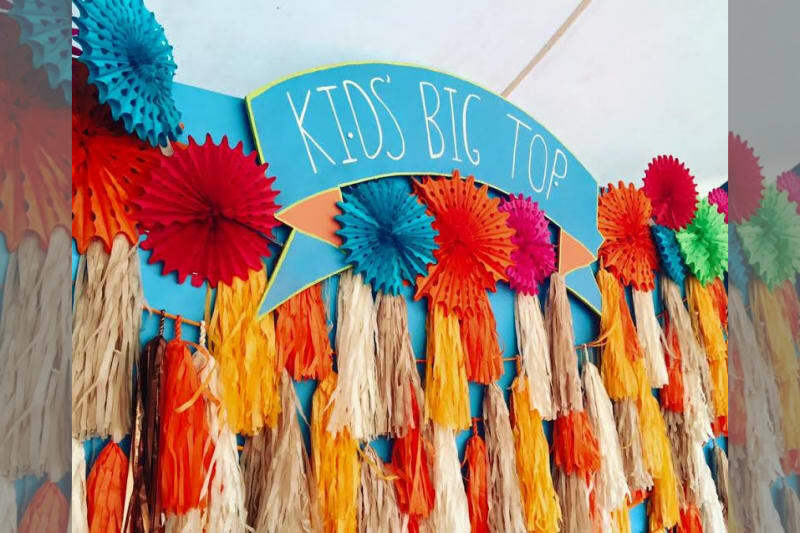 That being said, we thrive on working with the super creative couples too and we have a reputation for creating quirky and unique decorations. 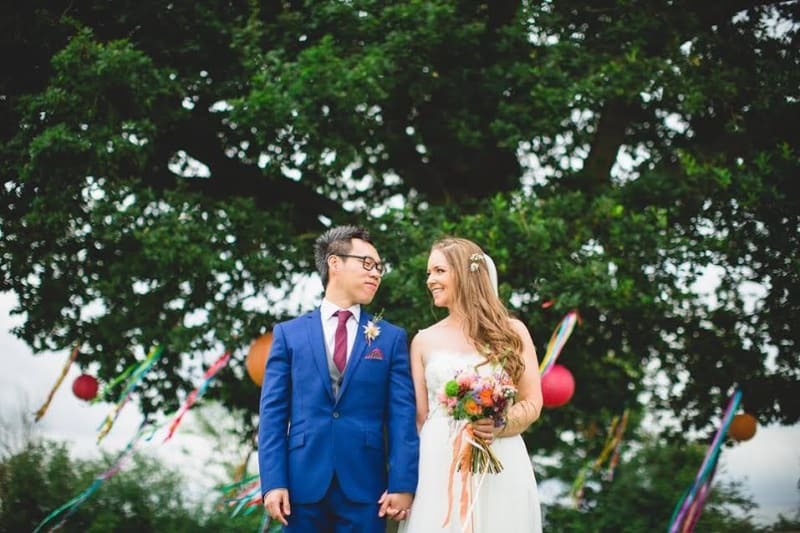 We’ve heard people saying ‘this must be a Hattie and Flora wedding!’ which is so flattering! A wedding which is true to the couple, and reflects the couple on a personal level, will always work. The more uptight you are, the more formal and less relaxed a wedding is in our experience! We tell our couples to enjoy every process – you (hopefully) only get to do this once in your life, so why let it be stressful?! We were honoured to be bridesmaids for a best friend of ours, so Jodie and I wrote and performed a playful song for her at the wedding – we played ukuleles too! There were lots of giggles and happy tears! It connects us with a range of couples and suppliers whilst providing a place for us to show all our wedding experience in one simple but amazing way! A company like ours, who work on a range of events (not just weddings) needs Bridebook to help couples see all our wedding photos and services in a focused way. A huge thank you to Harriet and Jodie for sharing their Supplier Story. Check out their jaw-dropping work in their Bridebook profile.